Get your name to stick with customers! An affordable gift they'll use every day. Semi-permanent adhesive sticks just about anywhere. Set up fee for this item is free. Quality Construction! These peel and stick calendars are made of 60# paper. Please Note: Sticks to a variety of surfaces; one-time use recommended. Free! Includes one display box per order. Handy Stick Up Calendar! 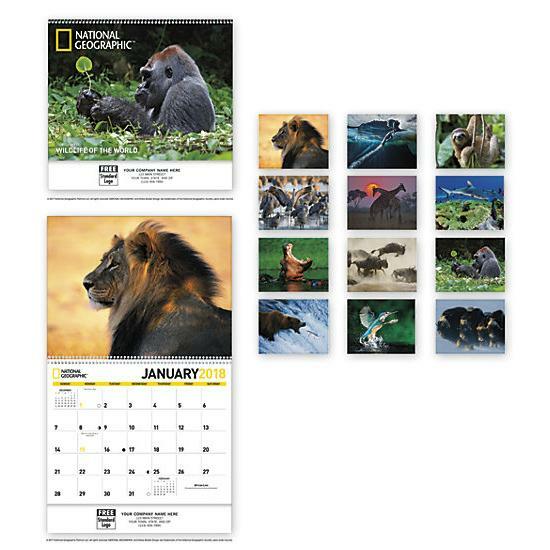 This calendar features a 13-month display.